Peyton finished his Championship in a whirlwind. 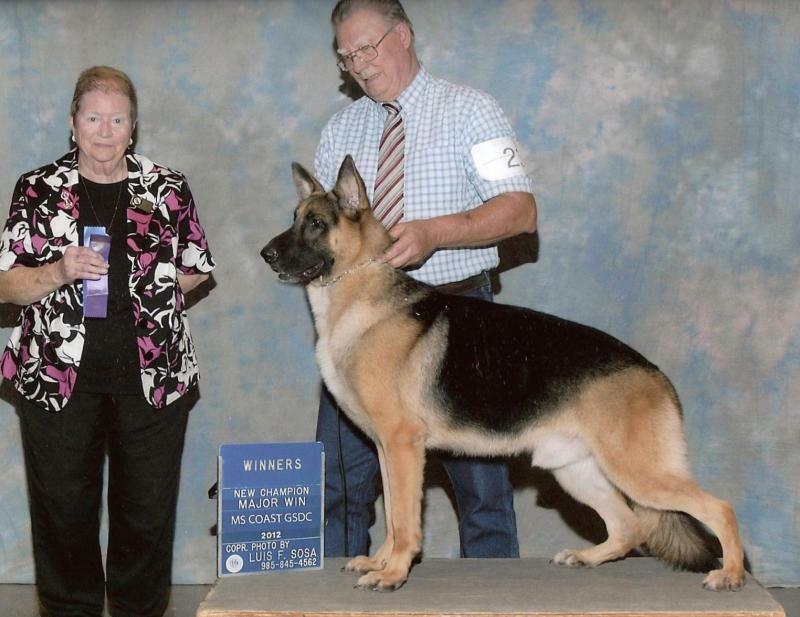 We want to thank Carol Moser for his first point from puppy class. Then he grew up and we brought him back out this summer in Biloxi where Danelle Brown gave him his first major handled by Greg Eschette. 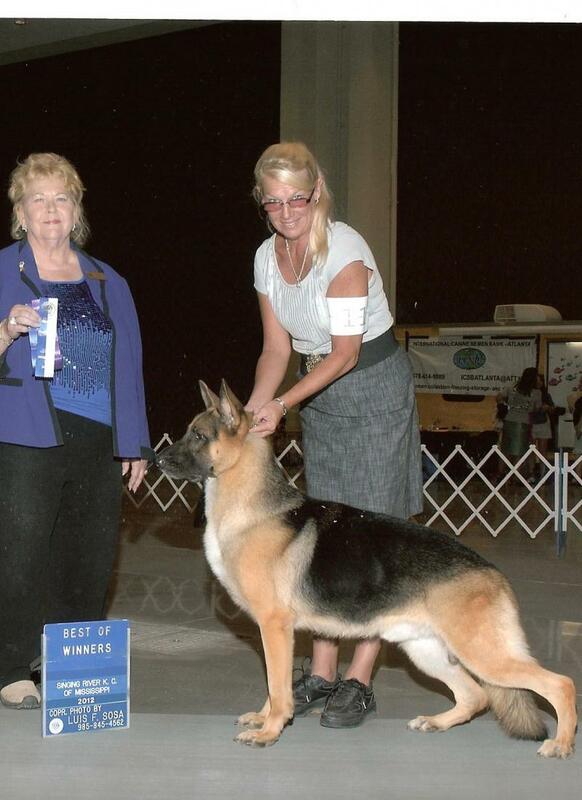 In September we went to Monroe and my husband handled him to Best of Breed over specials under Alice Inman for another major. Greg took him back in the Group and he took the Breed picture for Bill. The next week we showed him in Biloxi again. 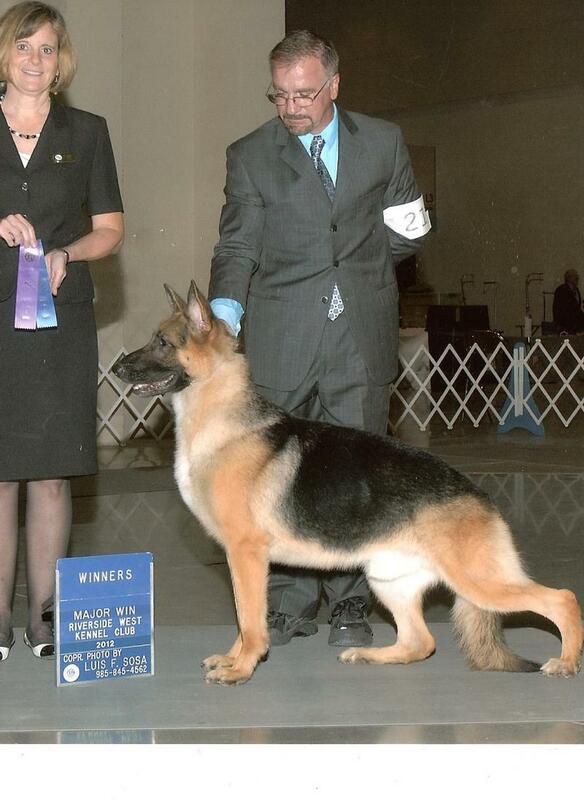 He was handled for the first two shows by our friend and handler Tori Glenn and took two more majors under Leah James and Carol Moser. My husband handled him for the Friday evening show and finished him with another major under Alice Inman. He is not yet two years old in this picture. 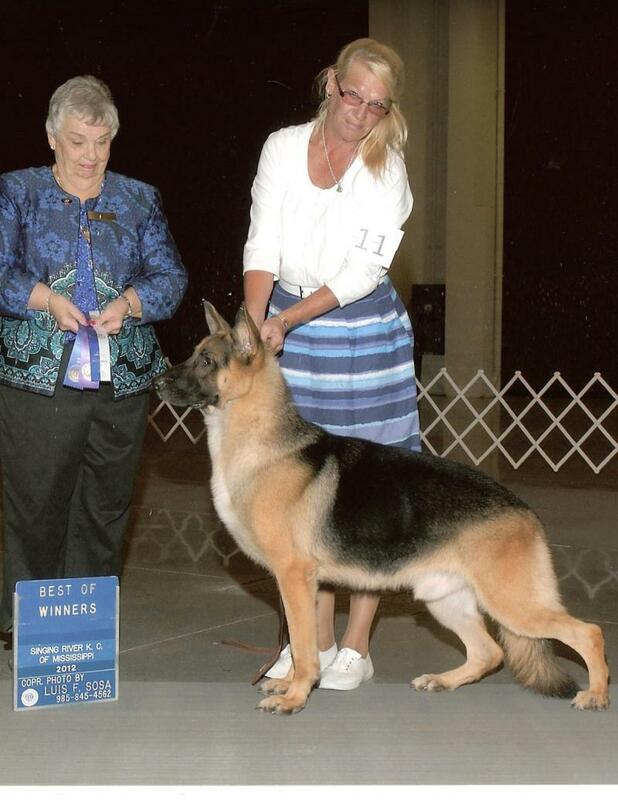 We want to thank Melissa Campbell, his breeder and co-owner for allowing us to have this wonderful boy. 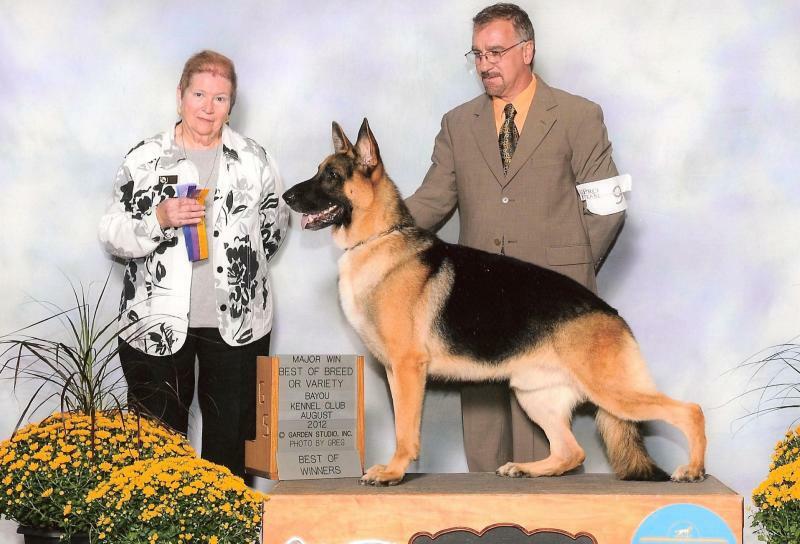 We want to thank all the judges who appreciated this young dog.